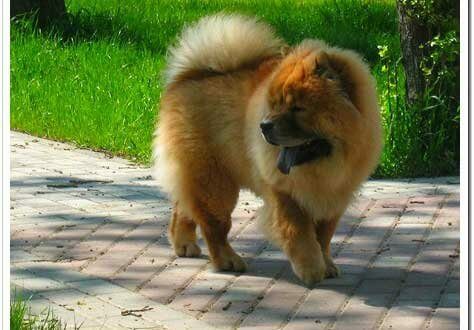 Chows can require a great deal of training, that is if your dog isn’t too stubborn to comply; as we all know these wonderful teddy bears can be sometimes. Yet, when it comes to training, there are many methods you can try. One such method is through the use of different training collars. The following information will look at some common types of dog training collars. These types of collars are also called Greyhound or limited slip collars, and they are designed to keep dogs from slipping their heads out of the collar while on a leash. Although the collar will tighten as tension is applied to the leash, the stopping mechanism prevents it from completely closing on the dog’s neck. The collars are commonly made from nylon and come in many colors and sizes. Halters or head collars closely resemble muzzles, but they are used for an extremely different reason. Head collars work the way harnesses work, but for the head. Such a device is great for teaching a dog to heel and walk on a leash properly. It works by pulling the dog’s head each time the leash is pulled. If you use this product in the correct way, it can teach your dog to stop pulling and help with other areas of training. These are also known as shock, remote or e-collars and are devices that send electrical currents of pain to the dog. Though many people do use these collars, some animal activists discourage the use, as it does cause the dog pain. Break-away collars are great for everyday use, and feature a great safety feature that will not allow choking. At the same time, you can still use this collar while your Chow is on a leash. If the loop becomes caught on something and your dog continues to pull, then the collar will break away. Yet, if you walk your dog with the leash through both loops on the collar, it cannot break away while you are walking your dog. These collars are made to teach dogs to stop barking. Though some refuse to use such as collar, others do to prevent their dogs from engaging in nonstop barking. They sell many types of these collars, and not all of them cause pain. This can be an effective tool to teach your dog not to bark at everything.